WOW! Cheap direct last minute flights to Cuba: Havana for only €255! 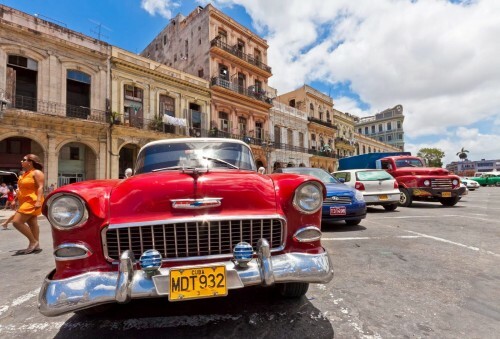 UPDATE 24.3.2019: Super cheap direct flights from Munich to Havana available for only €255! 20 kg bag included in the price as well! Fixed dates 26.3.-2.4. (1 week) or 26.3.-9.4. (2 weeks) for €319. BOOK NOW, check screenshot. After yesterday’s insane $55 deal to USA we have another sweet offer, this time to Cuba. Return flights from Paris (Orly) to Havana are available for only €264! This is amazing price, usual tickets would cost you €600-€800! This is last minute deal with travel dates in June 2017. The departure is actually in couple of days so you have to be fast to decide. 20 kg check-in luggage is also included so you can pack as much stuff as you need. These are direct flights, so you do not waste any time with transfers! Use Momondo to find connecting flights to Paris from any airport in Europe or take cheap Flixbus bus. If you look for accommodation you can get €27 free credit for AirBnb from us. Book fast here, this will be gone soon! Cuba offers extremely good value hotels and other kinds of accommodation including all inclusive resorts for really low prices. « WOW! Cheap flights to Indonesia: Bali for only €349!